Sit in the heart of the action - right on the glass! 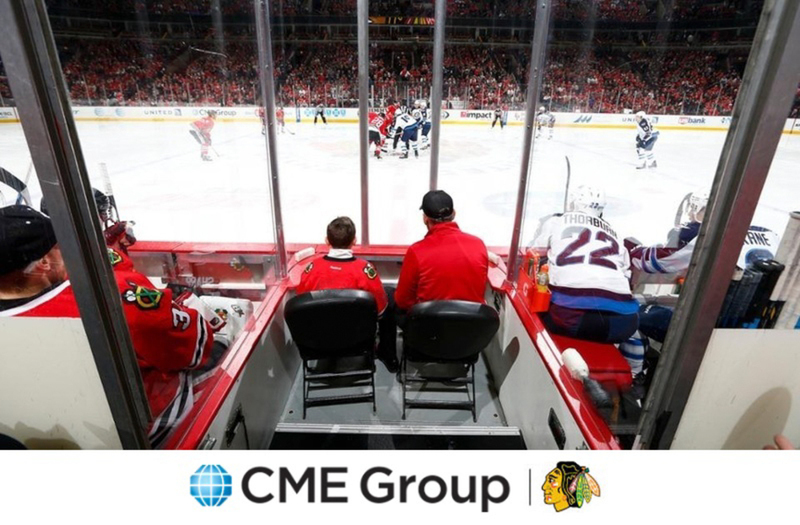 CME Group player bench seats, located directly between the player benches, gives you a one-of-a kind experience. Tickets are only available in a set of two. PLEASE NOTE: Your bid amount is for a pair of seats and NOT per seat. **Disclaimer:Losing bidder information will be passed along to the Chicago Blackhawks ticketing department for future corespondence. If you would prefer not to have information passed along, please email NHLAuctions@fanatics.com before the close of the auction. The winning bidder will be contacted by the Chicago Blackhawks to arrange for pickup/delivery of the tickets. Sales tax will not be charged for this item.